How can I accept shift swaps from the App? 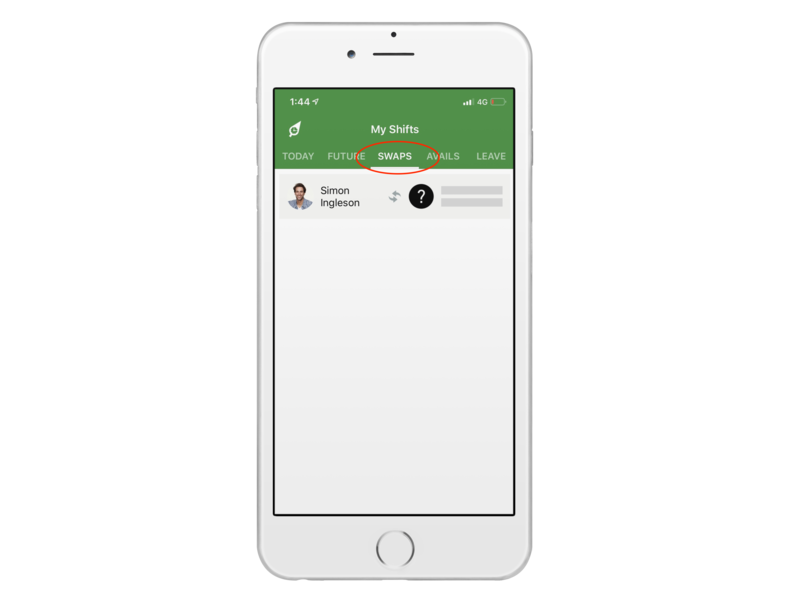 Employees can see any potential additional shifts they can accept in the "My Shifts" section under "Shift Swaps". Here will be displayed a list any shifts swaps requested by other employees that can be picked up. To accept any of the shift swaps, click on them and a window with details of the new potential shift will be displayed. Simply click "Accept" to secure the shift. NOTE: Even after accepting a shift the change will need to be approved by a manager. 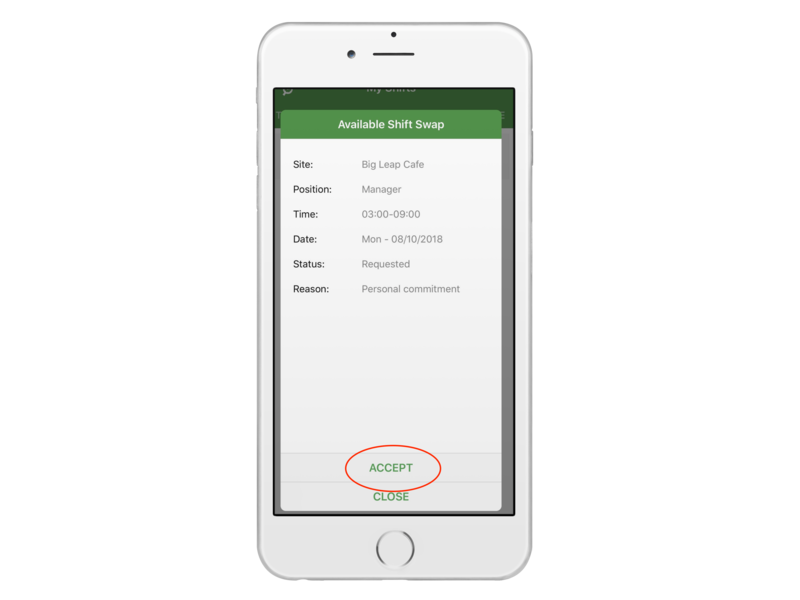 You will be notified if the change is approved and you are expected to work.